Your mind creates the reality you experience through a collection of your thoughts, emotions, beliefs, past experiences, fears and your desires. The most prominent energies within your being whether they are positive or negative support the creation of your reality as your mind uses these to attract like energies into your reality for you to experience. Your thoughts, emotions, beliefs, past experiences, fears and desires create frequencies of light, energy, sound and information within you creating a dream-like state born of your own produce. 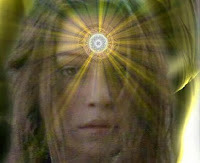 You are then further influenced by the collective consciousness of humanity and the perceptions of generations gone by. Basic information that you have been taught as facts create a tunnel through which you view your reality. Even information and ideas you perceive as normal and correct about how humans should live on the Earth and what the Earth should be like are all born from perspectives of others. In truth, they are akin to walls blocking your ability to see the Earth and yourself from your own inner truth, your own natural perspective and eyes. Your natural perspective is the perception of your soul, your soul’s gaze that allows you to see beyond limitations and illusions, recognizing what is really present rather than what humanity has believed is present for so many years. When you access the future dimension of the Earth, you are allowing yourself to see the Earth and her humanity from new perceptions within you. These new perceptions brought forth through your soul are limitless, loving, creative, pure and truthful created by positive and fulfilling thoughts, emotions, beliefs and goals. Over 80% of fears will be healed and erased while limiting past experiences and perceptions released allowing greater space for the love and truth of the Creator and Universe to fill your being. Thus, the frequency of our being will alter. Therefore your mind will be using the love, expansion and fulfilling frequencies to attract the same and even more into your reality for you to experience. In truth, you will be over 80% aligned with the Creator allowing All That Is the Creator to flow through you in abundance. It is important to know that when you begin to allow yourself to see through the eyes of your soul, you are already experiencing 40% alignment with the Creator, meaning that you are able to attract some fulfilling and loving experiences into your life and glimpse the future of the Earth. Dimensions are simply frequencies of energy which when experienced and embodied feel like a whole world full of creation and encounters. Each dimension has a different frequency and therefore a different intention of experience. The dimension known as the Future of the Earth is truly beautiful, it demonstrates the Earth and humanity existing in harmony, and in over 80% alignment with the Creator at a physical level. Love, truth, happiness, fulfillment, peace, perfect health and abundance are available for all to experience. The great blessing with this dimension is that it has a profound and potent presence of the creative vibrations of the Creator. This is because the Creator is present within all and also because Mother Earth existing at her purest vibration is a source of immense creativity that is beyond limitations and boundaries. When humanity exists in alignment with the Creator, they will recognise the profound creative energies and abilities of Mother Earth. Humanity and Mother Earth will then begin a deep and meaningful journey together marrying the energy of creation and the pure intention of the Creator. This will be so powerful that it will fill the Universe of the Creator with such beauty born from the essence of the Creator and never before experienced by many. Beauty will fill the Universe of the Creator and inspire a great and powerful Cosmic Shift which will positively impact all. Any person upon the Earth can access the Future of the Earth Dimension now. There is no need to wait for all of humanity to change. The dimension is already present; there is no need for humanity to create it upon the Earth. Instead there is a need for humanity to create the appropriate conditions within their being so that they can fully access and experience the blissful dimension of the Earth. The appropriate conditions are positive and fulfilling thoughts, emotions, beliefs and goals. 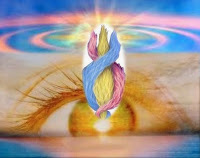 Over 80% of fears healed and erased, with limiting past experiences and perceptions released allowing greater space for the love and truth of the Creator. As each person takes action within their being to achieve the appropriate conditions, so it will seem as if the Earth around them is transforming. The Earth will reflect what is occurring within their beings as well as the transitions occurring within the collective consciousness of humanity. Many old energies and perceptions of limitations, fear and illusion, will be brought to the surface to be recognized and released. Some illusions may be so ingrained within the perceptions of humanity that it may feel like a tremendous loss and even create grieving processes which will be healing allowing truth to emerge. It is important to realize that truth isn’t always information or knowledge; it is often a feeling of liberation or an expression which brings forth expansion. Truth is an expansion of your perceptions of yourself and your surroundings. Changes and shifts in the way you perceive yourself and reality may be simply internal however you may see, sense and acknowledge them as solid situations or experiences in your local reality and the world. 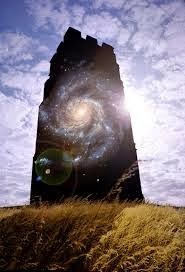 There is a need for the solid outer world to shift to align with your inner world, this will take time. Exercising patience and compassion with the world around you will not only support you in dealing with the shifts in the world created by shifts within all of humanity, it will also allow you to glimpse the Future of the Earth Dimension even in the darkest of times upon the Earth. In doing so, you will perceive everything as the perfection of the Creator whether it appears as positive or negative to you. 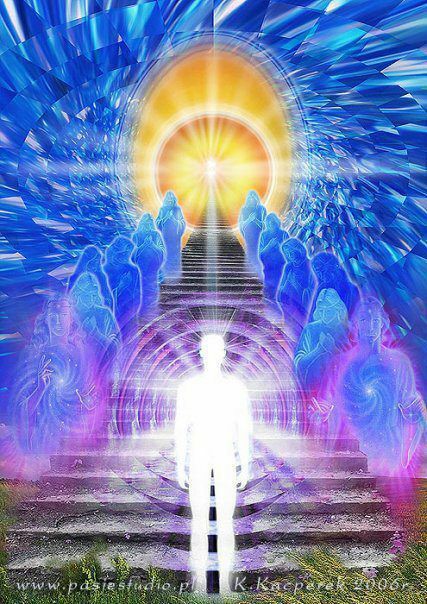 By accessing the Future of the Earth Dimension, you are aligning yourself, the Earth and humanity with the Creator, and the most inspirational and creative experience of the Earth. Remember this isn’t something that is created upon the Earth, it is a perception of the Earth and yourself which will gradually dawn from within you and will feel as if the Earth is transforming around you. In truth, it will simply be your view of the Earth which will be changing. An example of this, if you experience chaos within you, then chaos will be present within your local reality and the world, you will also see it in others and their actions. If you heal and release the frequency of chaos within you, then you will no longer see it in your reality or even the world. Gradually as humanity releases chaos, the presence and creation of chaos in the world will dissolve completely. 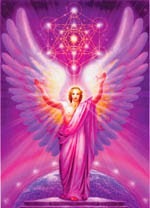 Your inner transformation is a catalyst that supports all in accessing the truth of the Creator.